Throughout Jesus' earthly ministry He spoke of going away and then returning (Matthew 16:27, 28). 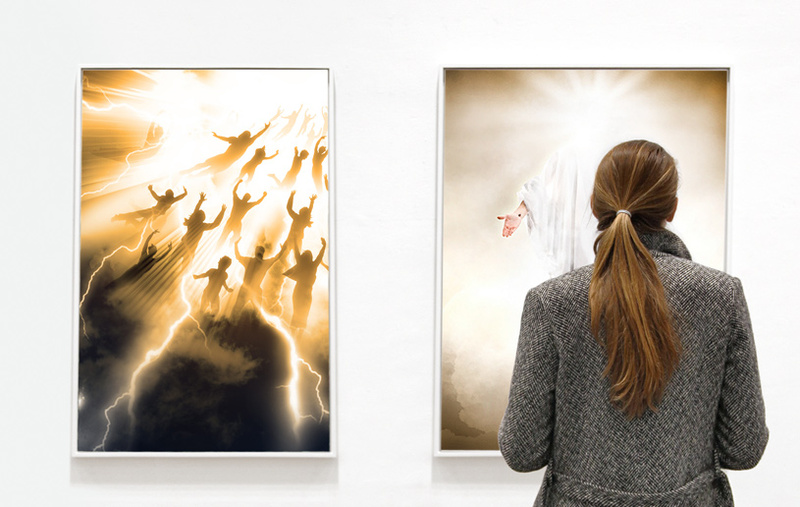 As His ministry concluded and as He was ascending into heaven two angels also said He would return (Acts 1:9-11). It is a scriptural truth we believe. Verification. His Word is true. Jesus has to return to fulfil the Scripture that said He would. Fulfilled prophecy about His first coming gives assurance of the truth and the fulfilment of His second coming. Therefore we have confidence to trust His Word for our daily living now. Glorification. Philippians 2:9-11 indicates that Christ went through with the ordeal of the cross with a view to the exaltation and glory that would follow (cf. Hebrews 12:2). He then returned to heaven to be glorified and take up His place at the right hand of the Father as Lord and Christ (John 7:39). The evidence of His glorification was the outpouring of the Holy Spirit at Pentecost. Peter explained this as Jesus exalted to the right hand of God. Presently Jesus is waiting for the Father's set time to finally subjugate all His enemies (Acts 2:33-36). Because He is Lord over all and has given His Holy Spirit we can, through prayer, approach Him to help in our times of need, and experience the Holy Spirit's power over sin daily. Revelation. Christ's return and appearing is an unveiling, a revelation—pulling back the curtains so that all will see His glory. It is at this great unveiling that the world, which presently does not see Him as He is, will see Him as King of Kings and Lord of Lords. Believers see Jesus that way now through eyes of faith believing what the Scripture says. Knowing who He truly is gives us confidence to trust Him in tough times now. Redemption. When man sinned God set a redemptive process in place. The death of Christ was part of that process because His shed blood paid the ransom price. We have redemption through His blood (Ephesians 1:7). The final accomplishing of our redemption will be when Jesus returns and our bodies are glorified and delivered from sin. We will all be transformed at that point and given a body like Christ's (1 John 3:2). Meanwhile, we are “waiting eagerly for our adoption as sons, the redemption of our body” (Romans 8:23 NASB). Retribution. Because of sin, there is a lot that is wrong in the universe. Jesus needs to return to sort it all out. And not only to sort it out and make things right, but be seen to make it right. His justice demands it. Exercising justice means giving everyone what they have coming. All of this He will do visibly. Knowing one day Jesus will sort things out means we don't have to try to take revenge or fret over injustice. He's coming to look after it. Eradication. Christ won the war with sin and the devil through His death and resurrection. Although defeated they have not been removed. They still wreak havoc in our lives and world. Christ needs to finish the job; evil has not been finally crushed. Only by returning can Jesus finish the work He began on the cross. The cross was the beginning of the end, but the final triumph of Christ is yet to come. Knowing His victory is total gives us confidence. We battle now from the position of conquerors through Christ, not as victims. Demonstration. From the time of creation God has chosen to play out redemption's story on earth's stage. This drama is being acted out before a great host of angels who long to know how the story ends (1 Peter 1:12). It is only fitting that the last act also takes place on the earthly stage before it is destroyed and a new heaven and new earth take its place. Jesus must return. And that's a truth that impacts us even here and now while we wait. “Therefore, with minds that are alert and fully sober, set your hope on the grace to be brought to you when Jesus Christ is revealed at his coming” (1 Peter 1:13 NIV). 1 1 Corinthians 16:22 Maranatha is translated as “Come, Lord Jesus.” It's an appropriate saying for Christians looking ahead to Christ's return.